All COUNTRY CLUB VIEW homes currently listed for sale in Salt Lake City as of 04/18/2019 are shown below. You can change the search criteria at any time by pressing the 'Change Search' button below. 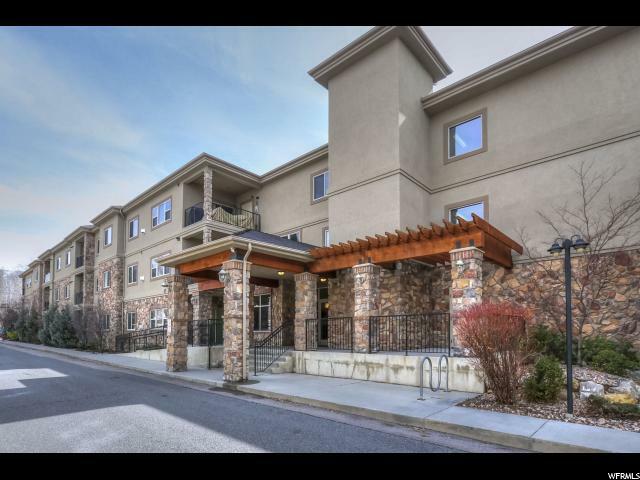 "Country Club View condominium on highly desirable upper level (SE mountain view from the covered balcony and all windows) that is available to be either investor-owned (it's that rare upper-level unit that is grandfathered for leasing!) or owner-occupied. Modern, secure-access, non-smoking condominium complex in coveted Salt Lake City Eastern Sugar House location: 2 miles from Research Park / University of Utah; close to Sugar House Park; easy freeway access. Built in 2010 with 9-foot ceilings and high-end finishes: fine alder and cherry wood finishes, granite countertops, stainless steel appliances, gas fireplace, tile floors, ceiling fans in both bedrooms, and in-unit laundry. Designated parking spot in secure-access parking garage plus ample exterior tenant and guest private parking in the back (East and Northeast) of the building. Additional private storage in parking garage (can be used e.g. for bikes and skis). Exercise room, theater room, and community room."